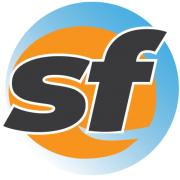 SFBay is pumped to announce that Jerold Chinn is joining our staff as transportation editor, effective immediately. The 49ers have reportedly traded quarterback Alex Smith to the Chiefs in exchange for draft picks in this year's and next year's draft. Santa Cruz is mourning the tragic death of two police officers who were shot Tuesday afternoon while following up on an investigation. The SFMTA received a key approval Tuesday to extract two tunnel-boring machines at the abandoned Pagoda Palace theater in North Beach. This week The City was all about a different type of awards ceremony — one that handed out bronze Piggy Awards. The Sharks got a three-game homestand started right by outlasting the Colorado Avalanche 3-2 in a shootout.